Recognizing the impact of low self-esteem in productivity and relationships—and applying practical steps that can enhance self-esteem. Using the labyrinth as an experiential tool for releasing stress, gaining clarity and experiencing peace in the midst of an often chaotic world. While she specializes in Self-Esteem, Personal and Spiritual Growth and Relationship Skills, she also has an expansive amount of experience in entrepreneurial skills, working with kids and teenagers, journal and creative writing processes, problem solving and decision making skills based in critical and creative thinking, and spirituality. Eve possesses a rare and deep understanding of human behavior and is a true example of the principles she shares. Eve is an inspirational speaker whose specialty is helping people to access their own inner wisdom, achieve self-mastery and create healthier, more joyful relationships-whether with Spirit, a loved one, or with one’s self in the form of self-esteem. Her charismatic style captivates listeners, igniting people’s enthusiasm and joy for life. She leaves her audiences empowered with the skills and the tools to effect positive change in their lives. She has shared the stage with Bob Proctor, Jack Canfield, Mark Victor Hansen, Lisa Nichols, Les Brown, Dan Clark, Barnett Bain, Gred Reid, as well as many other world-class presenters. Eve has served as the Relationship Advisor for several web sites including American Singles, JDate and Dreammates.com. She has appeared as a relationship expert on numerous national television and radio shows including BBC Worldwide Radio and has been quoted in several national magazines including Cosmopolitan, CosmoGirl, Divorce, Men’s Health, Conception, Bride, and National Geographic Adventure. She has been featured in Forbes and Huffington post. 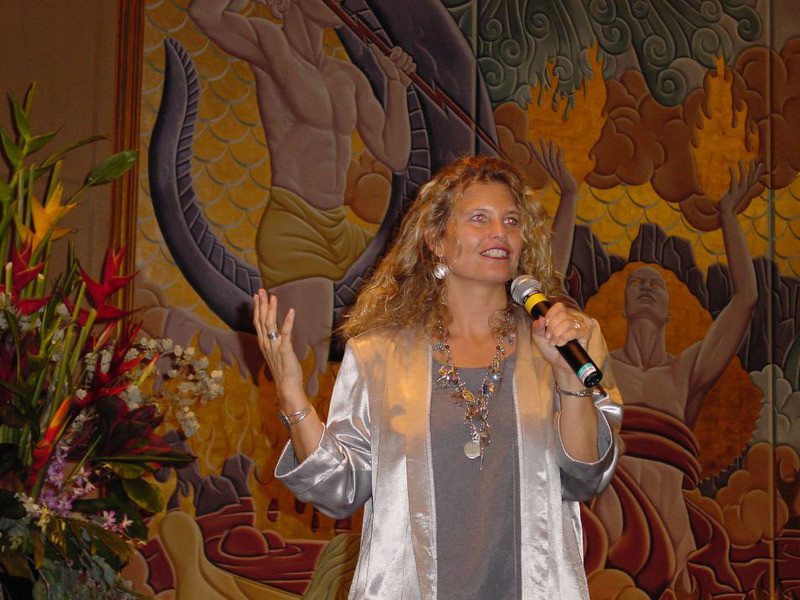 Eve has authored the relationship Q and A column, With Aloha, in The Maui Weekly for nearly a decade and is contributor for Spirituality and Health Magazine and the author of the Real Love Blog and host of the Love Well Podcast on their web site.